In order to grow viewership, Instagram is now including previews of IGTV content in users' feeds. The change follows the inclusion of IGTV content in the app's Explore tab and the ability to add IGTV videos to Stories. 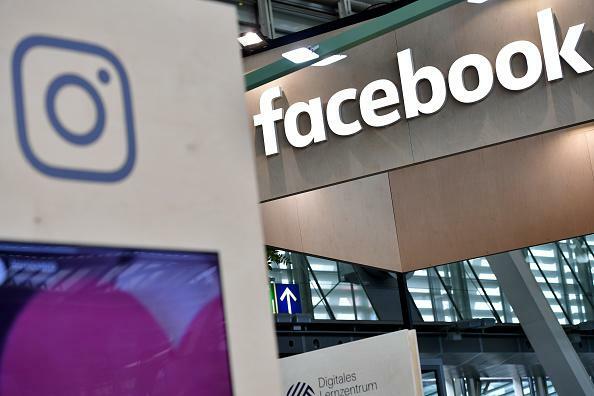 Facebook (NASDAQ:FB) has also struggled to grow viewership for Watch, the video platform built into the main Facebook app. Leveraging one of its most popular products to promote a new one might annoy some users, but ultimately, it could prove extremely valuable for Facebook. One of the biggest challenges facing IGTV and Watch is that there's a very small audience. As mentioned, IGTV has only a few million users. Facebook says 400 million people view content on Watch every month, but only 75 million of those tune in daily. That's nothing compared to the 1.8 billion users Alphabet (NASDAQ:GOOG) (NASDAQ:GOOGL) says use YouTube. And those users spend an average of one hour per day streaming videos on mobile alone. Facebook was able to grow the amount of video content on its platform by increasing the placement of video in News Feed. But it's moved away from that strategy, and that's likely harmed viewership of Watch. Putting IGTV videos in users' Instagram feeds can help expand the reach of the platform and make it much more attractive to creators -- especially those that already have strong followings on Instagram. The new feature is also designed to bring users to the IGTV section of the Instagram app. Instead of playing an entire video in your feed -- like Facebook does when a friend shares a Watch video -- it only shows a 1-minute preview. Users are then encouraged to continue watching the video in IGTV. That can lead to greater engagement and discovery of other IGTV content, ultimately producing a fertile environment for creators to share new videos. If successful, Facebook could copy the model for Facebook Watch and the Facebook News Feed. The cross-promotion of IGTV in feeds presents an interesting opportunity for Facebook if things go well. If the company sees a strong increase in viewership as a result of videos in the feed, it could offer creators the opportunity to promote IGTV videos in users' feeds. YouTube generates tons of ad revenue from promoted videos. They appear atop recommended videos based on what you're currently watching on YouTube. They appear after you finish watching a video. And they show up when you search for something on YouTube. There's a clear market for creators looking to promote their videos. While there's already a thriving video ad market on Facebook and Instagram, promoting videos for IGTV or Watch would keep users engaged on Facebook's platforms. That can be much more valuable to the company long term as it promotes a behavior it wants users to exhibit -- and gets paid to do it. In the long run, Facebook wants to monetize Watch and IGTV with in-stream advertisements. Finding ways to get users to engage with the parts of the apps that currently go underutilized and unmonetized is a key part to Facebook's continued revenue growth, as it faces ad load saturation in both the Facebook and Instagram feeds. If showing IGTV previews in users' Instagram feeds doesn't increase engagement, Facebook can always take a step back. Users might dislike it, but they're unlikely to abandon Instagram just because they see a video preview every so often. There's very low risk, but a lot of upside for Facebook. Suzanne Frey, an executive at Alphabet, is a member of The Motley Fool's board of directors. Adam Levy owns shares of Alphabet (C shares) and Facebook. The Motley Fool owns shares of and recommends Alphabet (A and C shares) and Facebook. The Motley Fool has a disclosure policy.